Thank you for choosing our family for your tree service needs! Tree trimming can be an excellent option for the trees on your property and can save you from having to remove the tree altogether. 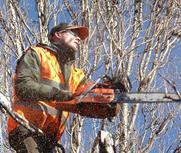 Tree trimming services are required when your tree becomes too high for you to trim the branches on your own. U.S. Tree Service has a professionally trained crew, with proper equipment and trucks, so you can rest assured that your trimming will be done quickly, professionally, and safely. Promotes Tree Growth: Tree trimming actually helps the tree grow. 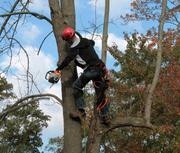 By removing unwanted and unsafe branches it helps promote growth for strong branches and the trunk to grow taller. Improves the Tree Structure: Trees will grow around obstacles. By removing the tree branches that might hit power lines, or other objects you improve the structure and control the growth of your tree. Keeping a tree Healthy: You can actually prevent a full blown infection by catching it early in the tree branches and strategically removing those branches. This will ensure the health of the tree going forward. Let more light in: Your tree could be preventing light from coming through the windows in your home. By trimming the branches away you can encourage more natural light from coming into your windows. Improve your landscaping aesthetic: Trimming your tree might allow you more space in your yard for landscaping or just so kids can run around and play. We can move those low hanging branches in order to give you more yard space and make it easier for mowing or edging. 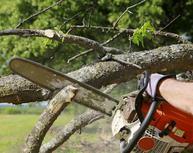 Safety: You can make sure that dead and falling branches will never harm your home, vehicles, and most important family. 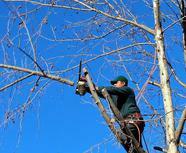 Ensure their safety by removing the branches with a professional and insured company before they become a big problem.